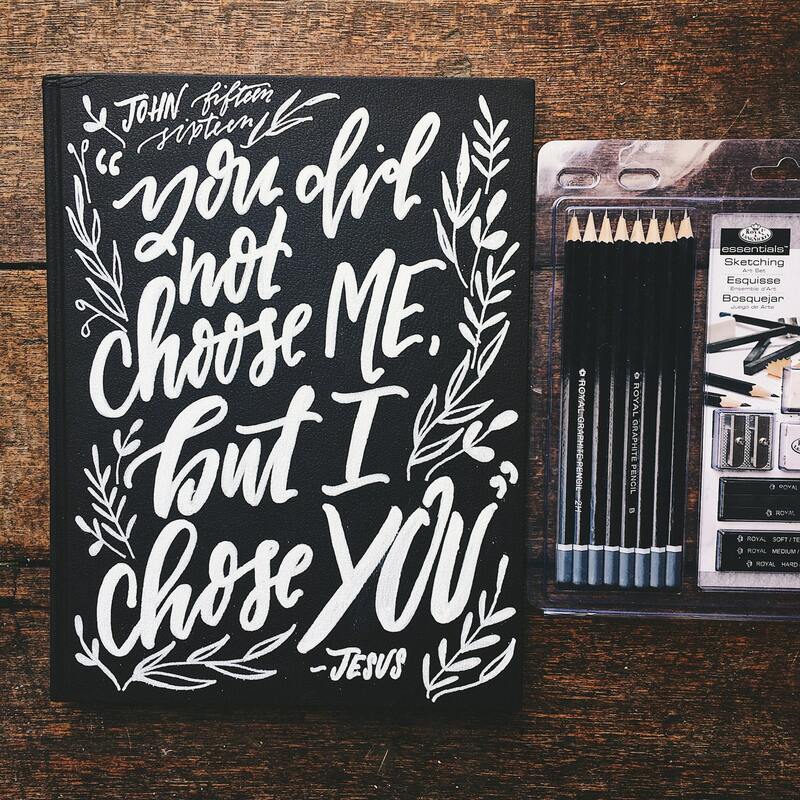 The newest in our prayer journal line, the custom hand painted sketchbook! This lovely Strathmore hardcover sketchbook is the perfect gift for the artist in your life, or for yourself! Sketch out your bible journaling ideas before you put them into your journaling bible, or simply have a space to practice your drawing and hand lettering. I firmly believe we are created in the image of a creative God to do just that - create! We are all artists in his eyes. I have two customization options for these, full color design, or white design. When you check out you will leave the scripture of your choosing (or any quote you might like, it doesn't need to be scripture), and select from the drop down menu your color choice. Once you purchase the listing we will work together on a color scheme and and any details you would like to include, along with the scripture of your choosing. I will contact you within 24 hours after purchase (usually within minutes, but I am just being safe!) and we can collaborate on the sketchbook to match your vision. These sketchbooks also include free name inscription on the inside cover. See our custom bible listing for some ideas of what is possible! Lightly-textured, matte cover in dark chocolate brown.